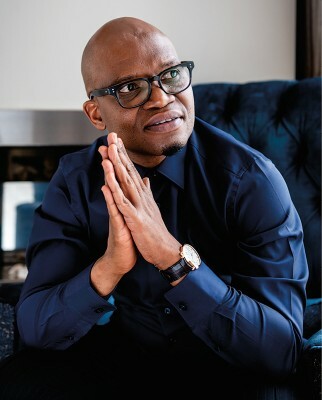 This is the firm conviction of Manzini Zungu, the visionary leader and Chief Executive Officer at Pacinamix —a 100% black female-owned creative, digital and communications consulting firm, that does not believe in conventional wisdom, but rather has the courage to build its business model to be disruptive in order to get to the solution. Pacinamix at its very core, is a disruptive business having achieved sizable growth in the past couple of years while holding firmly to the ideals of black excellence. “As a business, our mere existence is disruptive. We live in a country where the failure rate of black businesses is at 75%. This means there is greater probability for black businesses to fail rather than to succeed and that has become the expectation,” says Zungu. However, as with any other growing business, Pacinamix has reached a level where expansion can be achieved inorganically through significant business acquisitions. “A healthy business is one that places emphasis on growing organically first. Once this organic growth has reached its optimum capacity, then the business can contemplate other means of increasing output and business influence by acquiring new businesses—however, acquisitions and business transactions must come from a foundation of strong organic growth,” explains Zungu. “So, in this regard, Pacinamix has already disrupted the current status-quo and expectation that is predominant in the black business entrepreneurial space,” he further highlights. Disruption is defined as the disturbance that interrupts an event, activity, or process. However, Pacinamix views disruption as an opportunity to do things differently and most importantly to challenge the status-quo. Disruption entails knowing what the rules are and then breaking them to set the trend and to optimize distinctiveness. Disruption was the architect for our global client McDonald’s where Pacinamix married the global quick-service restaurant chain with one of South Africa’s most glamorous fashion designers. The result was a combination of two elements unparallel to anything that has never been done before —a disruptive combination of fashion and food to position McDonald’s as a premium lifestyle brand. “You have to embrace a disruptive attitude. As a business we have learnt how to not only be disruptive, but to be effectively disruptive. Through this understanding we are able to steer our clients to new and exciting territories they have never been before,” explains the Pacinamix CEO. A growing business such as Pacinamix relies heavily on its nimbleness and agility to identify innovative and game-changing methodologies in their business approach. This intentional disruption filters into all our clients. From a local perspective, we have gained the trust of an organization such as the Association of Mineworkers and Construction Union (AMCU)—an equally disruptive Trade Union that has positioned itself to be progressive in a stifled unionist market. In their own right AMCU is a disruptor in the South African labour representative sector. “Our industry-shaking partnership with them has enabled us to transform one of the country’s fast-growing labour Union to become a global brand and a protagonist of how to execute effective trade unionist practices in South Africa’s labour market for the international audience.” Explains Zungu. Pacinamix’s role as highly-skilled and proficient advisors to AMCU has led to the co-creation of AMCU’s distinctiveness as a credible Union whose trade unionism models have become case studies to the global market. To lead and inspire a disruptive company you must be a disruptor yourself. For Mr. Zungu this translated to growing up at his grandparents’ home in rural KwaZulu-Natal. His grandparents involved him in farming activities from a young age, and he cultivated vegetables to sell around the township. Symbolically, this cultivation birthed the entrepreneurial spirit in him from an early age and he knew that his path was one that would lead to owning businesses. The Pacinamix CEO started the communications and marketing business and admits that although it wasn’t much at the time, it helped him to learn how to invest in resources that were crucial to the day-to-day running of a business. Once the company secured its first project, the wheels started turning and the business expanded to offer more to its clients. Pacinamix has expanded to encompass Human Capital and Development as well as Enterprise Supplier Development (ESD) offerings aimed at assisting their clients to attain true transformation and sustainability. “I’m very excited about our ESD wing, which ties in with the principle of building black excellence. Our ESD business is about co-creating shared value in the supply chains of our partners. To safeguard the ethics that black businesses must form part of a supply chain and that they are correctly incubated, developed and eventually skilled enough to become strong and sustainable entities that add value where they operate. As a thought leading firm, we are always at the forefront of the sectors in which we operate, meaning that Pacinamix is an ever-expanding business,” elaborates Zungu. To effectively ensure that black business can rise and stand firm on their own there must be true transformation and sustainability – which is a disruptive narrative within the sphere of procurement. “Pacinamix defines Co-creation as journeying with our clients and partners. Our business believes in more than just delivering solutions. We believe in a shared experience—where learning and growth happen both ways in order to optimise the outcome. Our clients are part of our decision-making process and in turn, we are part of theirs and in doing so, we co-create disruptive solutions that empower our clients to reach their business objectives. When our clients meet and exceed their business objectives, then we would have achieved our core objectives as a business,” he explains. One of the most vital aspects of brand management is getting consumers to believe and trust in the brand. Equally important is the incorporation of world-class infrastructure, custom-developed campaign management solutions and research, i.e. gathering the latest trends and insights from around the world and integrating them strategically. “I believe that sincerity and transparency are key factors in making brands ‘real’ to consumers. No one appreciates a spin-job or a spin-story. Over and above engaging with our clients, we ensure that through our activations, we engage with their consumers and customers as well. This positions us to have a holistic or 360-degree insight of our clients’ brands and allows us to develop campaign management solutions that best align with our clients’ business and strategic objectives. “As cross-sector experts, we make it our business to know the environments that our brands operate in from a PESTEL—political, economic, social, technological, environmental and legal—perspective. This allows us to develop the custom-developed campaigns and solutions for our clients from the in-depth studying of trends and insights,” says Zungu. He believes that the key to successfully optimising brand activation strategies is twofold. “Firstly, brand activation is about maximising consumer engagement. This speaks to making the brand come alive to the consumers, allowing them to interact with the brand at a tangible level—brands should never be abstract. “Secondly, and, perhaps, more importantly, a brand must tap into the emotions of the consumers. We are emotional beings at the end of the day. We use our emotions, whether we want to admit it or not, to make decisions and to form opinions. An optimum brand strategy is one that is fully cognisant of that and strives to ensure the emotional connection between the brand and the consumer,” he says. Other solutions that Pacinamix offer include video production and animation, multimedia design, branding, photography, audio-visual content, art direction, graphic design, copywriting and creative direction. “These are just some of the creative and production solutions we provide. As experts, we have often noted that one of the biggest challenges in the creative process is articulating an idea and translating it into a visual. Our creative teams thrive on the challenge of bringing creative concepts to life, thus, enabling our clients to have various touchpoints to engage with their own customers through the creative collateral we help develop,” says Zungu. In terms of how Pacinamix encourages creativity in the workplace, he says that he is a firm believer in cultivating environments where people can thrive and grow, both individually and as teams. “At Pacinamix, we have a very entrepreneurial culture that recognises qualities in all the colleagues who make up the Pacinamix family. I believe the best way to foster and cultivate this environment is to allow colleagues to be forefront of building this company. Our ethos is Co-creation, and this does not only apply to our clients, but also to our internal colleagues as well,” explains Zungu. “We are the ones who build this company together, to make it the success that it is today. This means sharing our weaknesses and our strengths—this is how Pacinamix has become the formidable force it is,” he adds. “From my ExCo, which advises me on major business and operational decisions, to all the colleagues in the various departments, I really appreciate them. I’m blessed to lead an organisation filled with highly-skilled individuals who are not only good at their jobs but who are always wanting to grow. Ask anyone from my team, our clients demand excellence and we only give them excellence. Each one of my colleagues understands that our clients are more than clients, they are partners who we journey with and it is the same with all my colleagues. At this point in their careers, all my colleagues are journeying with Pacinamix and I couldn’t ask for more from them,” says Zungu. A team is only as strong as its leader. 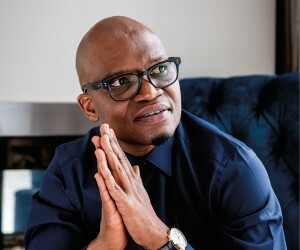 Zungu cites honesty, integrity, having a very thick skin, the ability to motivate others and actively engaging with employees, as the core elements of an effective leader. “I believe it’s important to give people the platforms to shine and be successful. When my colleagues need me, I have an open-door policy; they can come in at any given time. I often joke that I never lock my office so, essentially, people are welcome to enter my office, whether I’m there or not. On a serious note though, it’s about trust. I trust my colleagues to deliver the work I expect to see, and I also hold them accountable for both their successes and failures,” he explains. “We have been blessed with many successes, however, Pacinamix is a business that never rests in the comfort zone of previous successes. We are always seeking growth. For a business owner to create sustainable wealth, they need to make a point of reinvesting in the business and growing it, which includes growing the skills base and becoming part of the global community in order to remain at the top of their game, for themselves and their clients,” explains Zungu, adding that an insatiable desire to learn is an integral cornerstone of entrepreneurship. “You can’t grow if you refuse to expand your thinking beyond a limited vision. My decision to keep learning has automatically broadened my horizons in a way I could never have imagined. Knowledge always leads to personal and financial growth,” he says. In addition, Zungu advises people who are entering business for the first time to treat entrepreneurship as a long game. “Know that it’s not a short-term venture. A business needs to pass the three-year mark in order to have a chance of flourishing, but you’re likely to fail at your first attempt. Keep persevering and don’t be hard on yourself if things don’t work out—if you don’t succeed in the entrepreneurial space, there are other opportunities to create wealth. From personal experience, I’d also advise aspiring entrepreneurs to remember that the money the venture makes isn’t their own. It belongs to the business. “I also believe that success is measured by the level of trust and faith our clients have in us. As a company, we are now at a stage where our clients trust us completely with their brands to the point where we are part of their internal decision-making process,” he says. “Our mandate as Pacinamix is solidifying black excellence on a global stage, ensuring that we lay the foundation for other black businesses to compete on the same stage,” concludes Zungu. As a disruptor Pacinamix is a black business that has emerged to be a business that is not afraid to instigate and adopt cutting-edge business practices that both re-invent and demonstrate the possibilities for South African black-owned businesses to have their rightful place on the global business stages and not be tied down by past inequalities.